Due to Selby scheduling conflicts our meeting will be held on Tuesday, the 2nd, instead of Monday. Allen Black was exposed to the pleasures of horticulture at a very young age in central Pennsylvania. Early exposure to houseplants, flower beds, and vegetable gardening was common for Allen in his formative years. 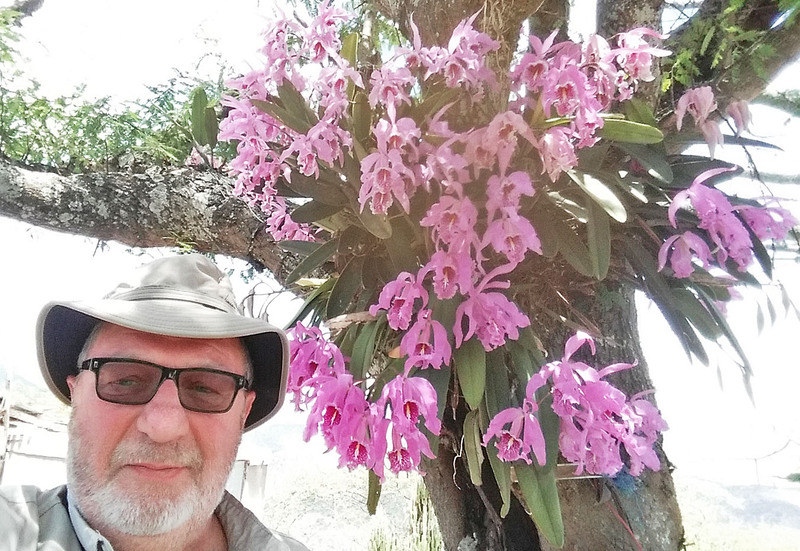 He is hobbyist orchid grower and breeder (i.e., non-commercial) living in Richmond, VA. He has been growing and breeding orchids for over 25 years. His main breeding efforts have been directed at Brassavola-Cattleya alliance novelty hybrids. He has just registered his 80th orchid hybrid! He performs his own orchid laboratory work, including flask media preparation, seed sowing, & replating. He has traveled throughout Central and South America to see orchids growing in the “wild”.